Popular among British tourists, Sandos San Blas Nature Resort & Golf offers guests serene lodging amidst beautiful landscapes. 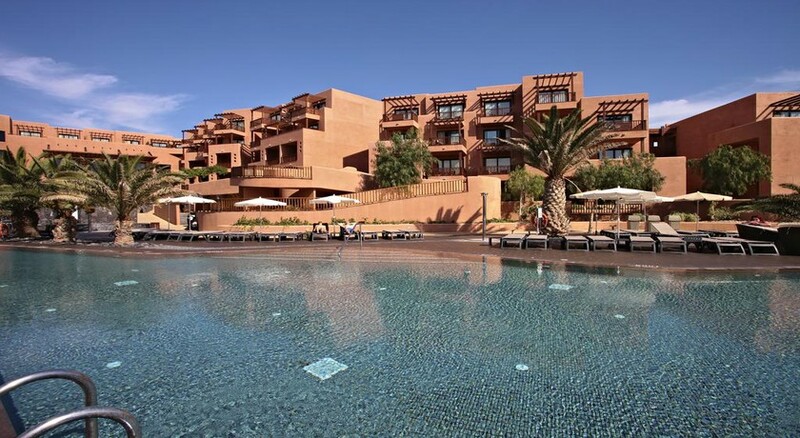 This stylish, all-inclusive five-star property located in the quiet resort of Golf del Sur features an outdoor swimming pool, wide range of recreational facilities including a boutique spa, gym, golf course, restaurants, lively bars, a mini club for kids and much more. The hotel also serves as a perfect spot for outdoor enthusiasts and activity lovers. The hotel’s all-inclusive package includes buffet breakfast, lunch and dinner, it also includes non-alcoholic and local alcoholic drinks served from 8am – 11pm. Apart from this, the all-inclusive package includes snack service, entertainment and sports activities like tennis, aqua gym, salsa lessons, basketball, kayaking on the lake, climbing wall, cocktail games, sensory activity, football, ping-pong, mini club for kids (4-12 years), mini disco, pool towels, safe, Wi-Fi, free bus to Playa de las Americas, mini bar and night time shows performed by hired professionals and the hotel’s activities team. 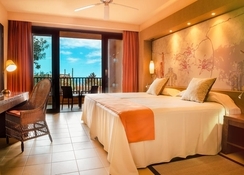 Sandos San Blas Nature Resort & Golf is set on a quiet area in the Golf del Sur resort in Tenerife and is surrounded by golf courses and a nature reserve that includes a small lake and dam. In the east, you will see the town centre and a wide range of lively bars, pubs and excellent restaurants. Additionally, for nature’s lovers the hotel offers tours to the natural reserve where they can follow self-guided hiking and biking trails. A 10-minute walk along the coastal path will take you to the Golf Del Sur course for some golf time. 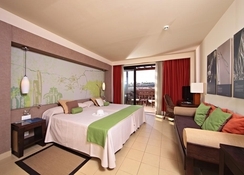 Sandos San Blas Nature Resort & Golf offers guestrooms and suites in four categories namely Sandos San Blas Suite, Double Standar Sea View, Deluxe and Deluxe Ocean View. Rooms are spacious and very colourful and offer amenities such as free Wi-Fi, stand-up shower, kettle, hair dryer, sofa bed, furnished terrace, air conditioning, lap-top size safe, vanity mirror, telephone, 32-inch LCD TV with international channels, hydro-massage bath, amenities, bathrobes and slippers, mini fridge (extra cost), room service (extra cost), pillow menu (extra cost), baby bottle sterilizer (extra cost), baby bottle warmers (extra cost) and iron and ironing boards (extra cost). The deluxe twin rooms come with splendid sea views. 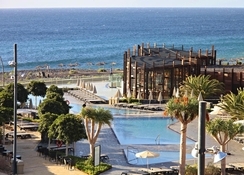 The resort houses four bars and two restaurants that include La Proa (Mediterranean gourmet), Cueva De Atxona (Gastronomic Buffet), Taro Pool Bar, Tagoror Bar (Hall Bar), Plaza Bar and Magma Lounge (Disco Bar). These restaurants and bars are spread throughout the hotel. La Proa has a menu of gourmet Mediterranean dishes with windows overlooking the Atlantic, so you can dine with a sea view. Cueva de Atxona buffet restaurant offers international dishes, plus show cooking and a dedicated area for Canarian cuisine. And speaking of the bars, the Magma Lounge is known as the disco bar of the hotel; Plaza Bar is a casual bar for causal drinking scene; Tagoror Bar is an all-day lobby bar; and Taro Pool Bar is the poolside bar. 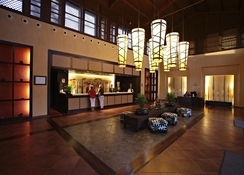 The hotel has an array of activities and programs planned to keep you happy and entertained. From wine tasting to yoga classes to activities such as table tennis, tennis, basketball, paddle, beach volleyball, water polo, football, water basket, water volley, aqua gym, water stretching and climbing this hotel has it all. Other than this, there is a golf course, which is just a 2-minute walk away. Fitness enthusiasts can hit the well-equipped gym with expert trainers. If you want to balance your body and mind, then take advantage of the following wellness activities: Introduction to yoga, water wellness, introduction to Pilates, stretching and walk & yoga. With innumerable shows and parties, the night time is the most exciting time in the hotel. It includes live music in the lobby bar, theme nights, games, fantastic selection of shows and Christmas and new year celebrations. 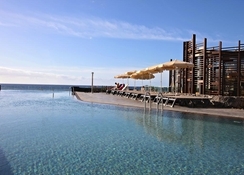 Additionally, there is an outdoor pool in the hotel that come with exotic sea view and water-side bars. Guests who want to relax and enhance their beauty can go to the on-site that has plenty of massages and beauty treatments on offer. Went back with our granddaughter as when there as a couple we thought it would be an excellent place for her as well as us. Rooms lovely food had a good selection excellent service. The animation team were brilliant with her. Playground, boating lake, climbing wall and disco as well as popcorn, ice cream made for a good holiday. Adult only pool sunbathing area and dining areas meant you could relax knowing children were welcome without having stress. Short transfer and superb entertainment shows made the whole holiday perfect. Stayed here on a family holiday for a week.Overall, this was an excellent hotel. Very clean, tidy and certainly somewhere that I would gladly stay again. Despite being close to the airport, aircraft noise was never a problem.